Written by Evan Kuo, Co-founder, Fragments, Inc. The global economy is in the midst of a crisis. First outlined by economist Robert Triffin, the aptly named “Triffin dilemma” posits that the economy (as we know it) is no longer sustainable due to a surplus of what’s known as “reserve currency,” or a currency that’s being held by international actors as an adequate store of value. For years, reserve currency has been sold to countries suffering from rampant market volatility in an effort to stabilize their economy, and while beneficial in the short term, these transactions have led to a major consequence: Inflation. Over time, Triffin argues, countries will be forced to print more currency to keep their infrastructures afloat, increasing supply, decreasing value, and hindering global economic growth. This prediction was made in 1959, yet its sentiments still ring true today. The Triffin dilemma is a conflict of near and long-term financial interests. 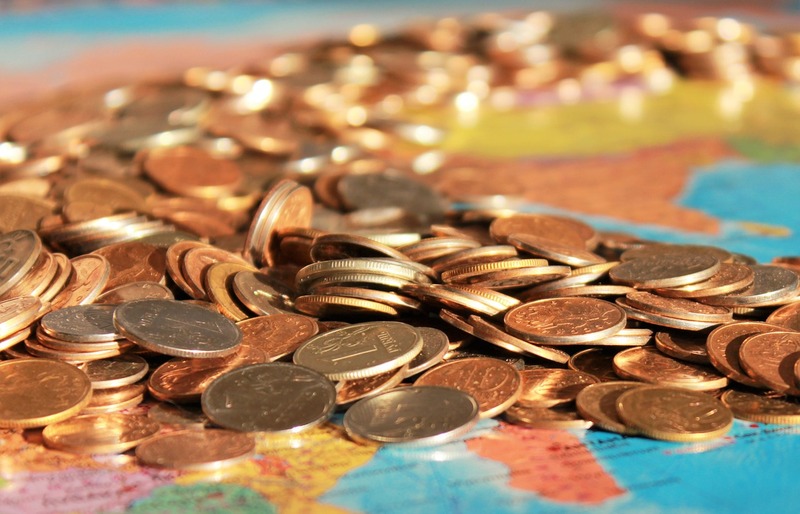 Historically, a country’s decision to increase the supply of its currency was seen as a powerful tool to unlock global commerce and stimulate economic activity. However, as more countries embarked on this endeavor, the short-term gains associated with buying or selling reserve currency quickly manifested into long-term inflation, and the people — especially those living in developing economies — ultimately suffered as a result. It’s clear that if we continue down this road, something will have to give. Interestingly enough, decentralized cryptocurrencies have the potential to offer myriad solutions to this problem, addressing many of the conditions of the Triffin dilemma by fostering the disintermediation of the global economy. At its core, cryptocurrency serves two primary functions in this regard: First and foremost, it opens the door for universal accessibility, allowing individuals to spend cryptocurrency regardless of location or jurisdiction. Citizens living in Venezuela, for example, could conceivably use cryptocurrencies to purchase goods and services as an alternative to their national currency, the Bolivar, which has undergone a 40,000% price increase in 2018 alone. Secondly, cryptocurrencies lay the groundwork for the creation of an independent economy, separating market value from the shifting sentiments of domestic and international politics. If, hypothetically, a recession were to occur in the United States, the Department of Treasury couldn’t conceivably compel bitcoin to create more supply, ensuring that its purchasing power remains undiminished by the cycles of inflation. Unfortunately, most cryptocurrencies, at least in their current iteration, have one major contingency: Volatility. At present, the Bitcoin Volatility Index (BVX) is around 2.77%, which, while lower than its February 2018 peak (7.49%), is still significantly higher than the volatility of gold (1.20%) and other major fiat currencies (0.5%-1%). To the general public, the speculative nature of cryptocurrency creates the perception, or misconception, that they aren’t an adequate store of value, presenting a strong deterrent for individuals living in high-volatility economies. But even for fully-indoctrinated bitcoin believers, it’s difficult to imagine that the predetermined supply of any cryptocurrency will allow it to become stable in the short term. An answer could come in the form of stablecoins, which are cryptocurrencies that are pegged to the value of fixed fiat counterparts like the euro or the U.S. dollar. If the price rises above or below a predetermined margin of error, mechanisms are put into place to correct the imbalance. A person could, for instance, store their assets in a less volatile market by buying a stablecoin tethered to a fixed, fiat counterpart — thus mitigating the risk of inflation. On paper, this sounds promising. However, if the United States were to undergo a recession, and the value of the U.S. dollar were to drop suddenly, the value of said stablecoin would drop in accordance with its fiat counterpart — making it not an adequate solution to the Triffin dilemma. However, what if there were a new iteration of stablecoins that could inflate directly to people’s wallets? This would allow an algorithm to create near-term stability by adjusting supply in response to demand, without devaluing an individual’s balance because the inflated supply is proportionally distributed directly to each person. Unlike traditional stablecoins, which are directly connected to the market price of fiat counterparts, these new stablecoins would be able to eliminate the negative effects of inflation, breaking the long-standing limitations between supply and demand policy. Not only would this lead to the free exchange of currency between international actors, but it would also provide for market independence; ending a decades-long cycle of devaluing inflation that has left a detrimental impact on the global economy. At Fragments, this is exactly what our team is working toward — creating a cryptocurrency that stores both near and long-term value, suitable for both spending and storing around the world. So where does this leave us? It’s important to first acknowledge that cryptocurrencies are not a one-size-fits-all solution to the problems created by the Triffin dilemma. At least for the time being, it’s presumptuous to believe that the world at large will unanimously elect to adopt crypto alternatives over the currencies they use on an everyday basis. Instead, cryptocurrencies will function by alleviating — not eliminating — the pressures of nonuniform inflation, creating more optionality for individuals to interact with confidence in the currency they hold. We may not see the end of the Triffin dilemma in the near future, but we can almost certainly reduce its impact.